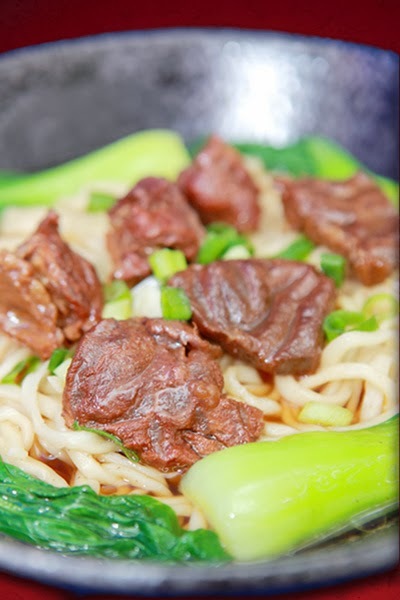 Everyone knows that beef noodles is a popular food in Taiwan, but Ching Yi Ser Beef Noodles is different from other noodle shops. The beef at Ching Yi Ser is imported from Australia and cooked with Chinese medicine. We recently visited the Ching Yi Ser shop on Gan Su Road here in Taichung. It really was different. The first thing that we noticed about Ching Yi Ser Beef Noodles was that their shop was very bright, clean, and comfortable. The second thing we noticed was that even though the name of the restaurant is “beef noodles,” they actually sell lots of other things, including curry rice, dry noodles, dumplings, and soup. Eric had a bowl of Pon Pon Hu Beef Noodles (碰碰胡牛肉麵), and I had the Wonton Noodles (餛飩麵). Eric said that the beef really was special; it was made from brisket and beef shank, which means there wasn’t much fat. He was very satisfied with his order because the beef was tender and delicious. I don’t eat beef, so I chose the Wonton Noodles. When I got my noodles, I was very surprised at their wontons because they were so big! They contained a lot of filling and tasted really delicious! The prices at Ching Yi Ser Beef Noodles are between NT$100-120. We thought that this was reasonable because there also provide sliced pickled radish, pearl milk tea, black tea, and ice water – all free! The servers at Ching Yi Ser Beef Noodles are very polite; they are friendly and take customer orders with a smile. Ching Yi Ser Beef Noodles is a great place for students like us because the service is good, the decoration is bright and clean, there are many foods you can choose from, and they provide free beverages. 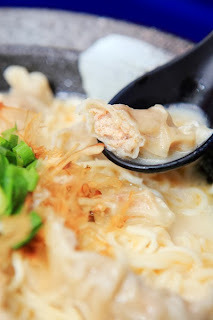 If think the Gan Su Road location is a bit far, there is also a Ching Y Ser Beef Noodles nearer school on Fu Xing Road.